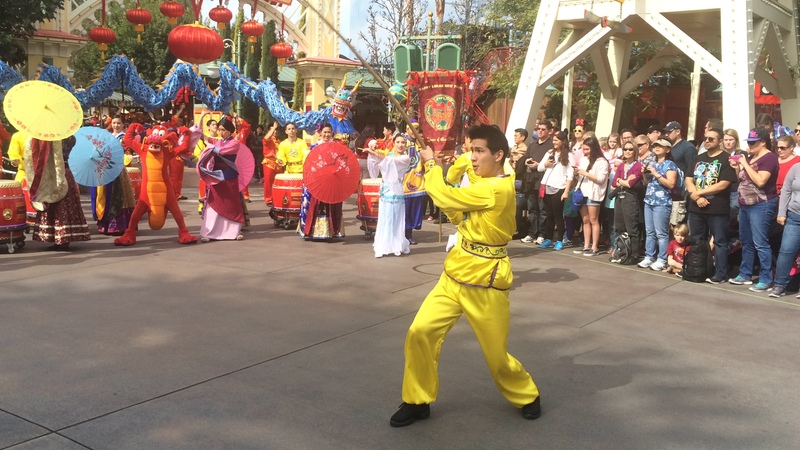 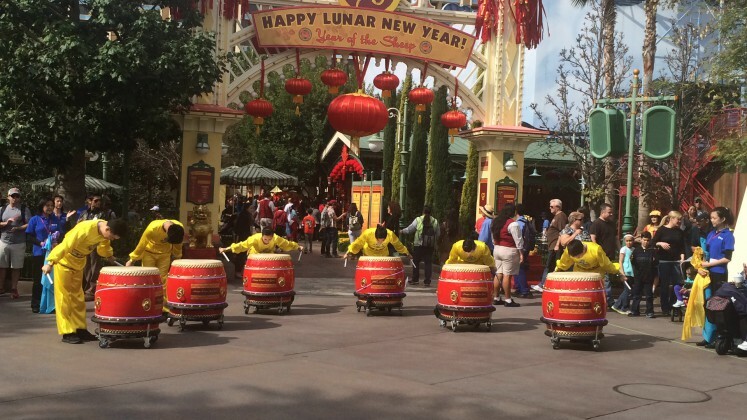 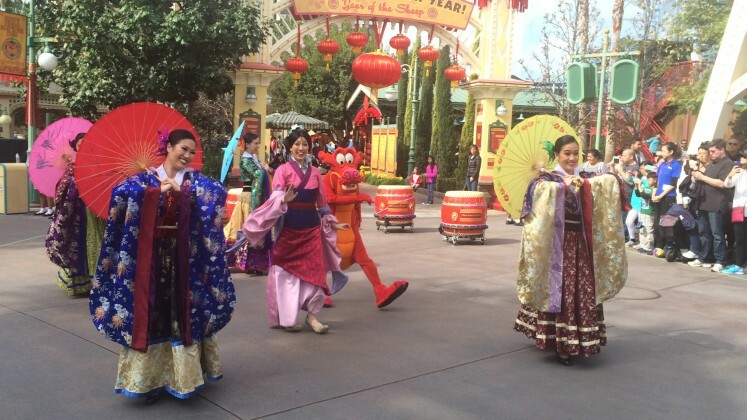 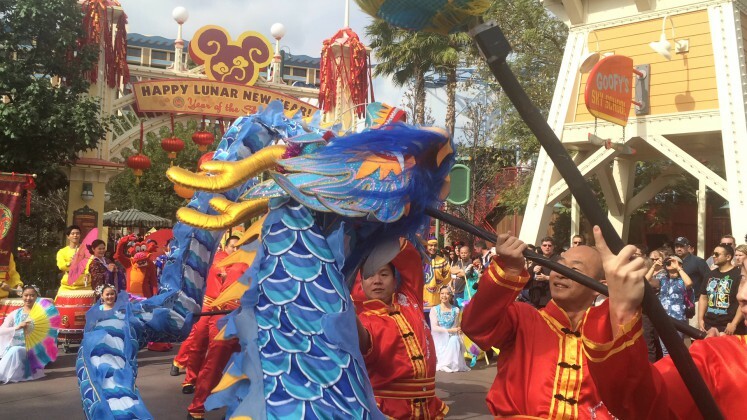 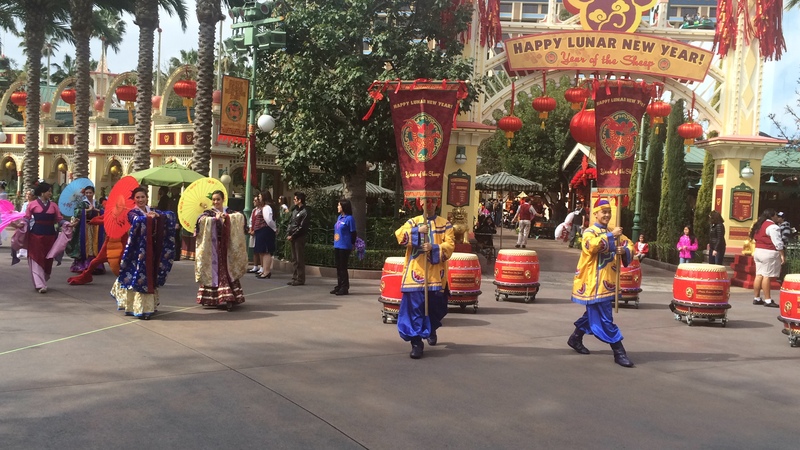 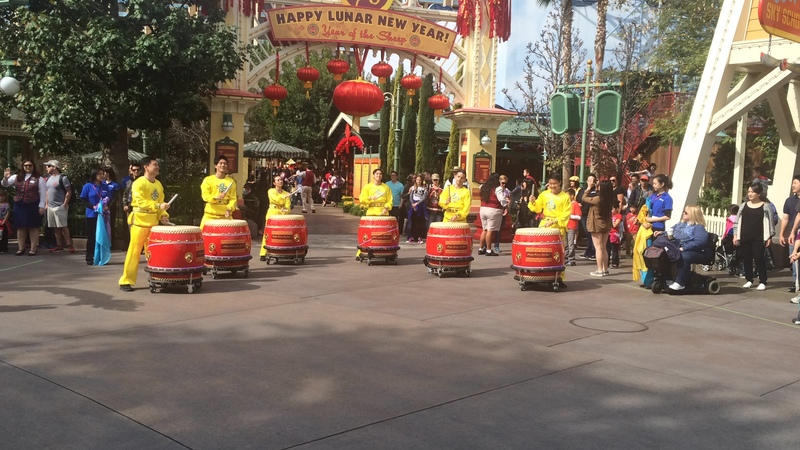 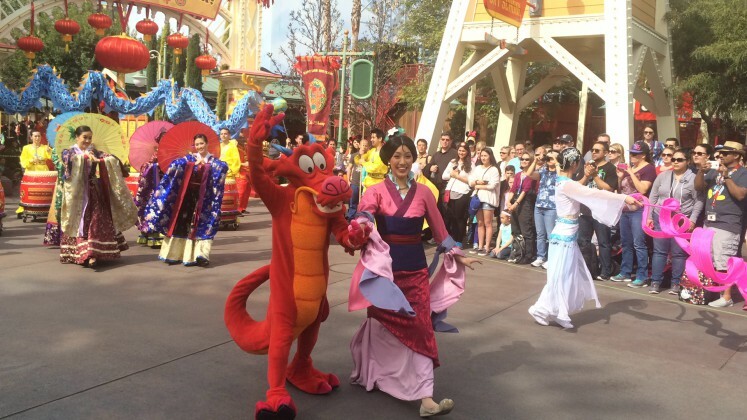 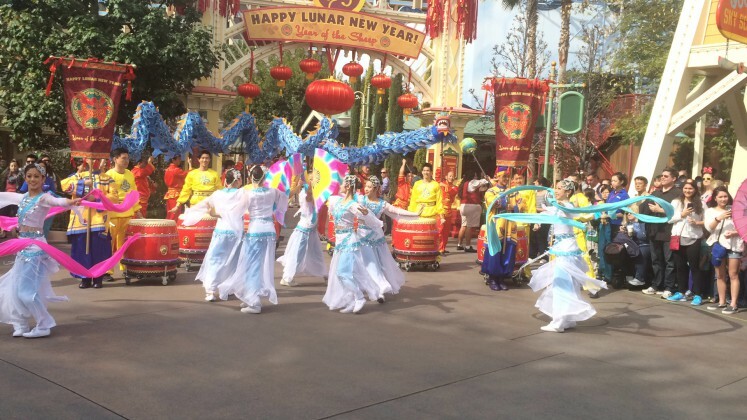 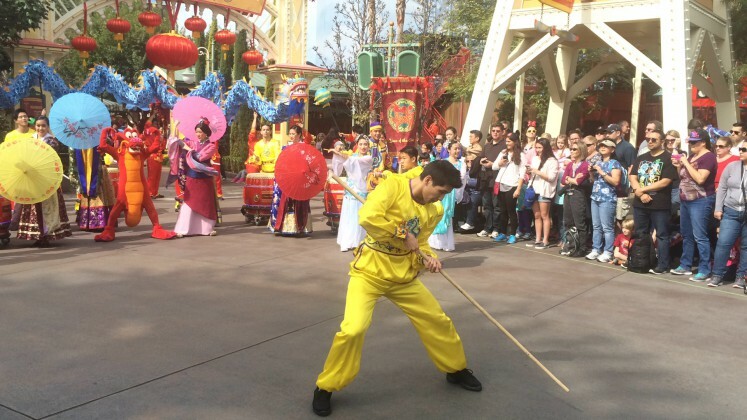 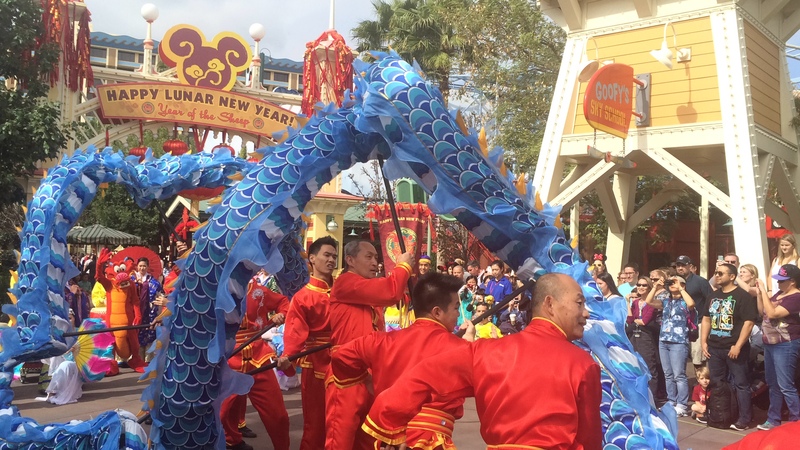 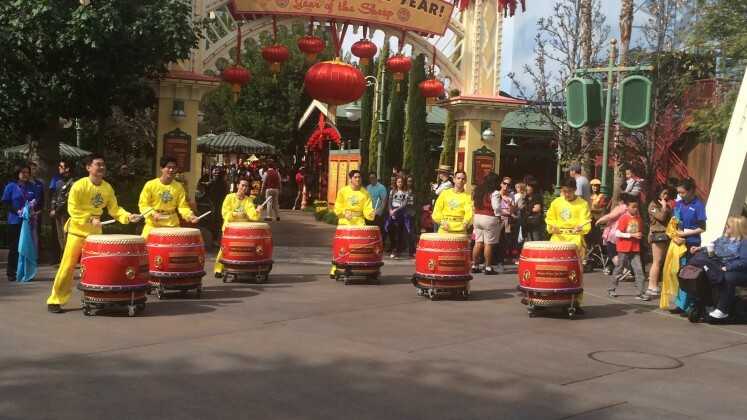 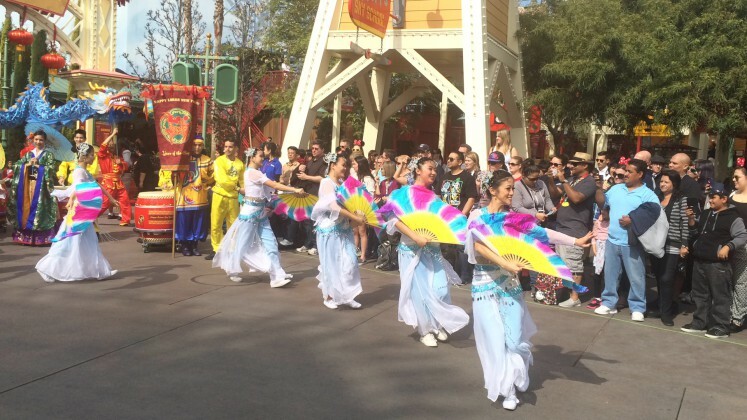 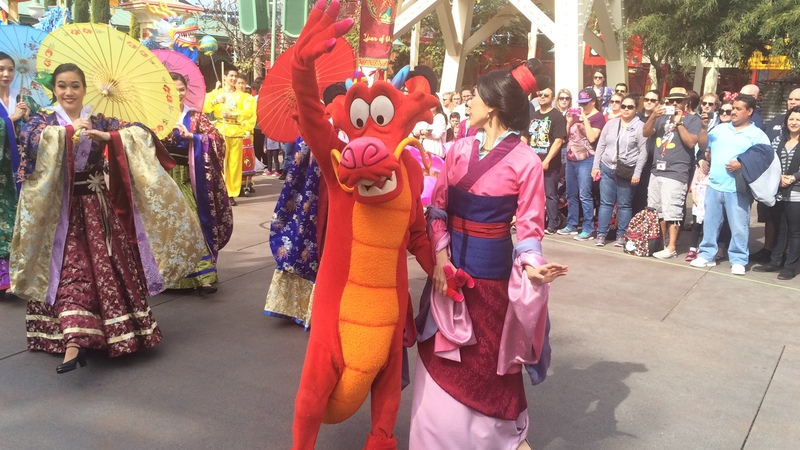 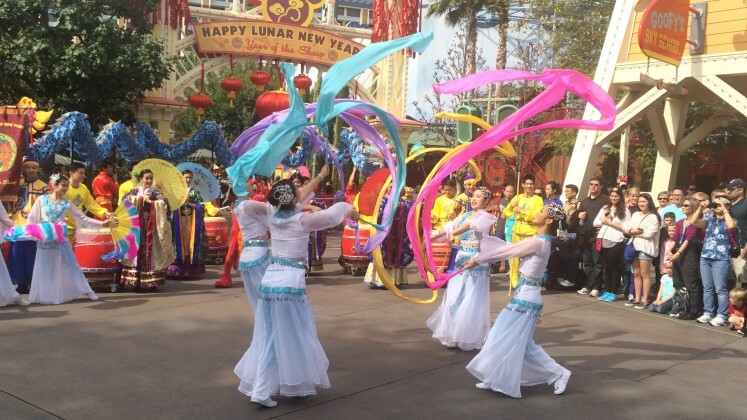 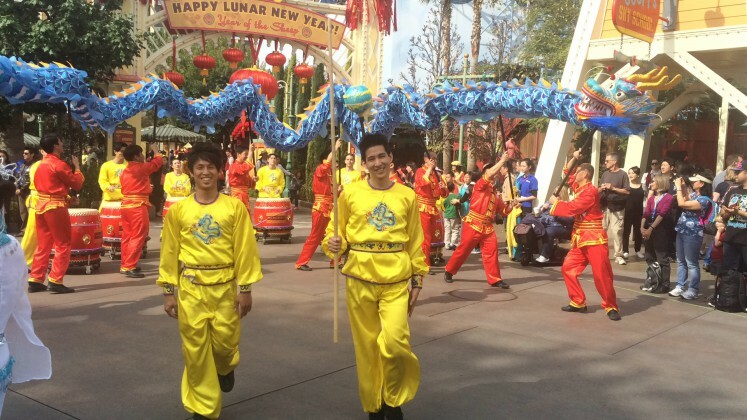 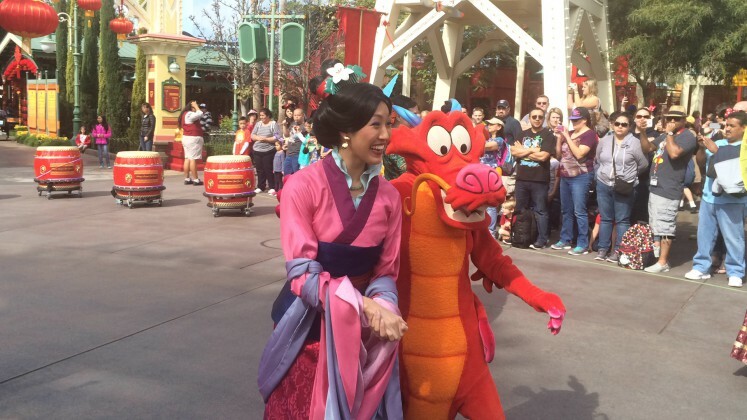 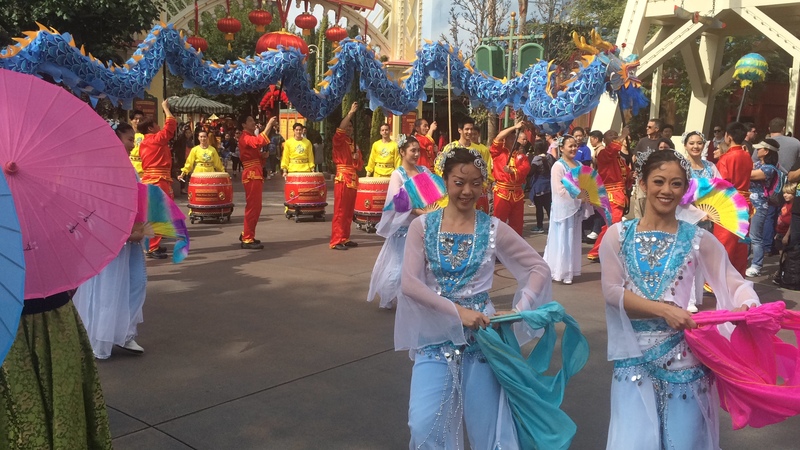 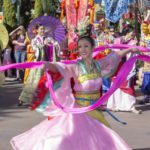 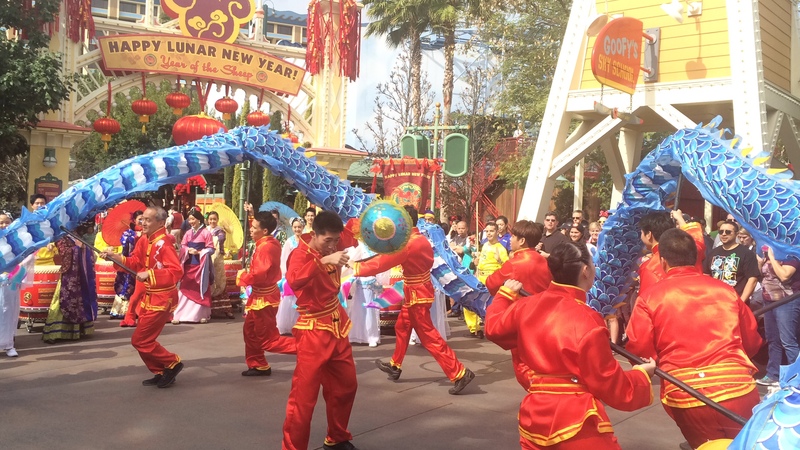 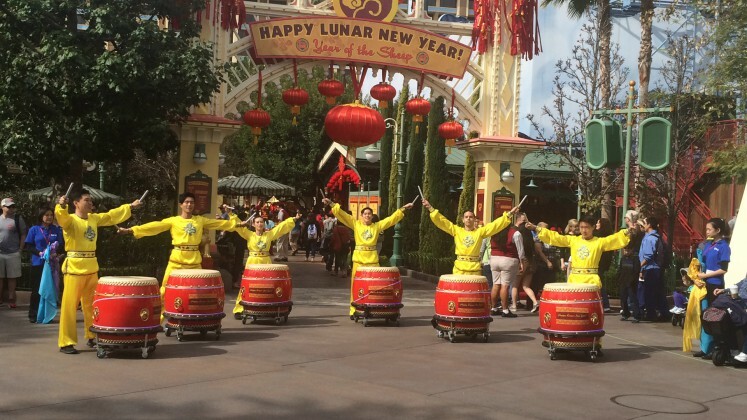 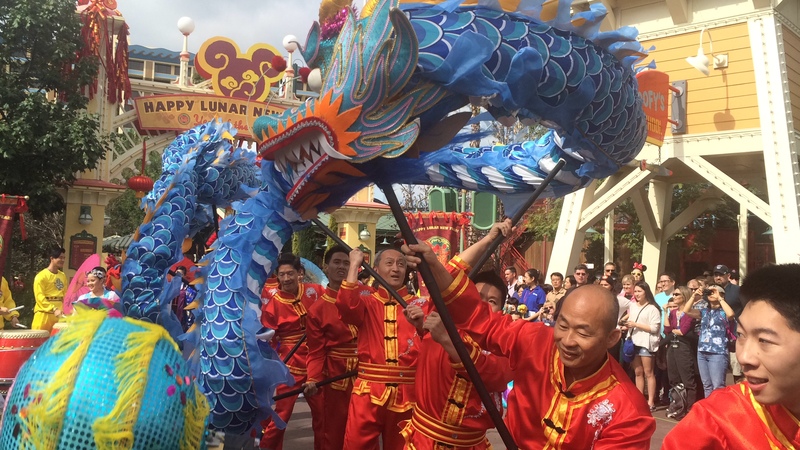 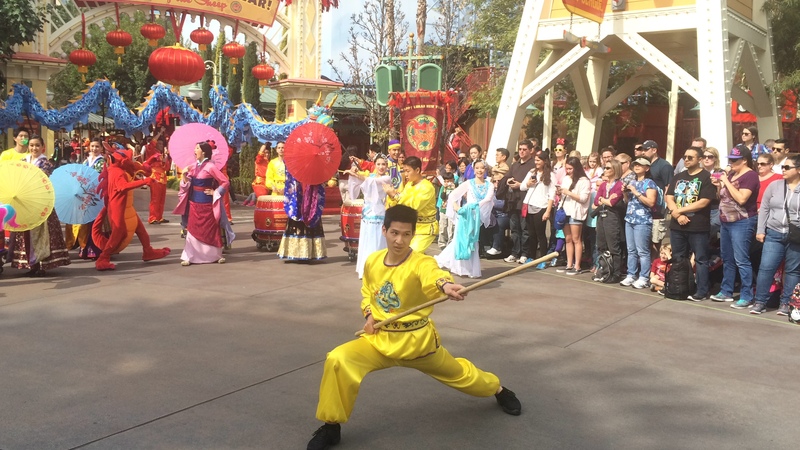 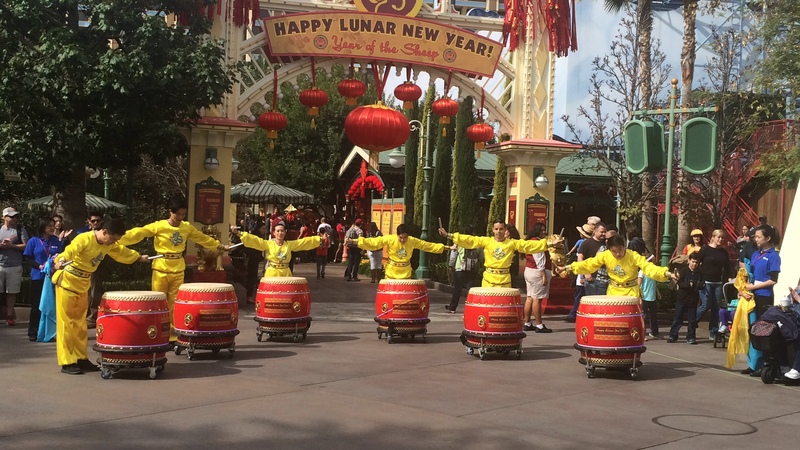 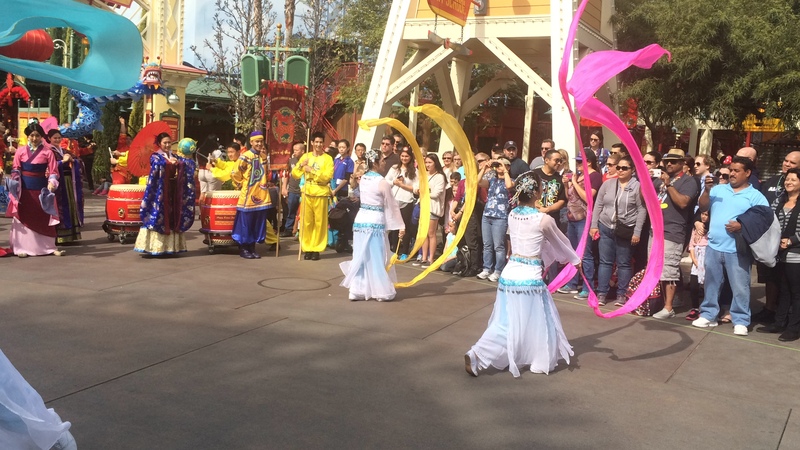 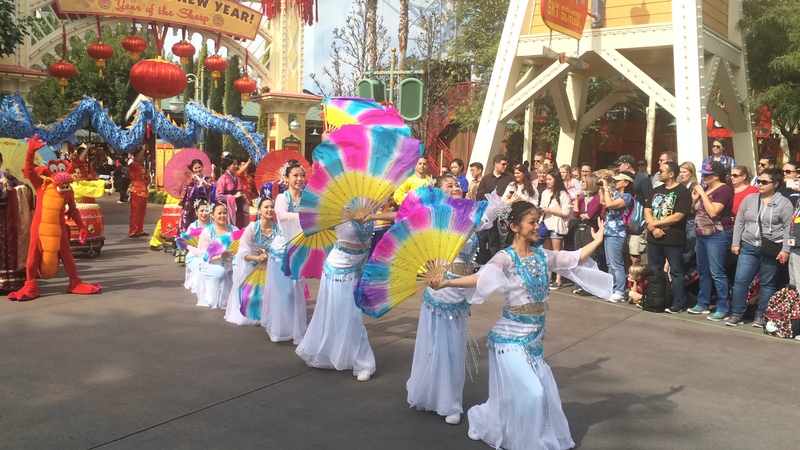 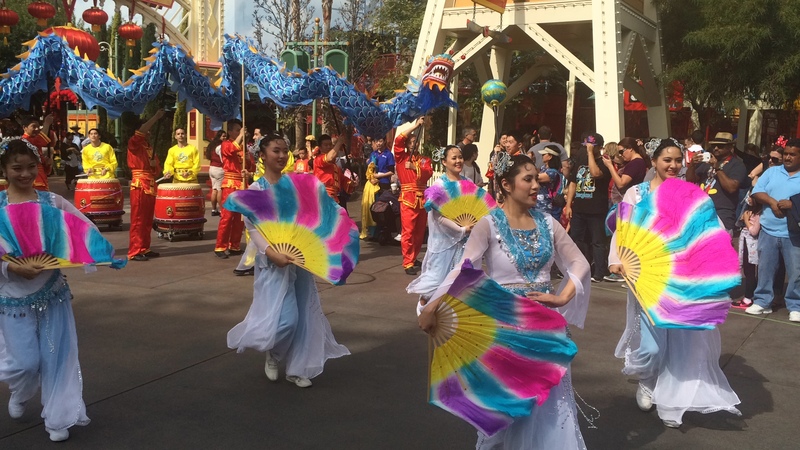 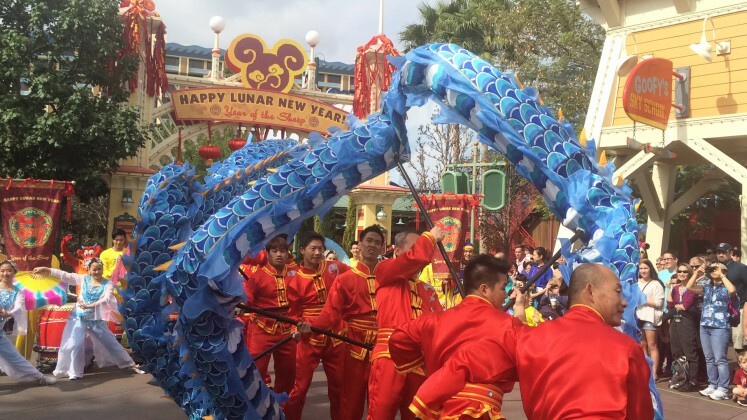 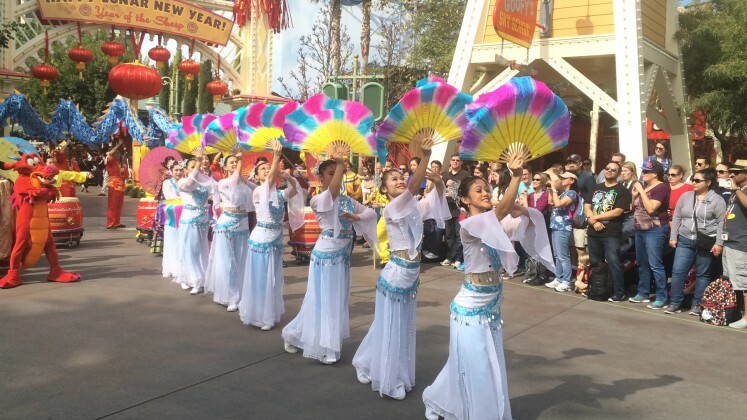 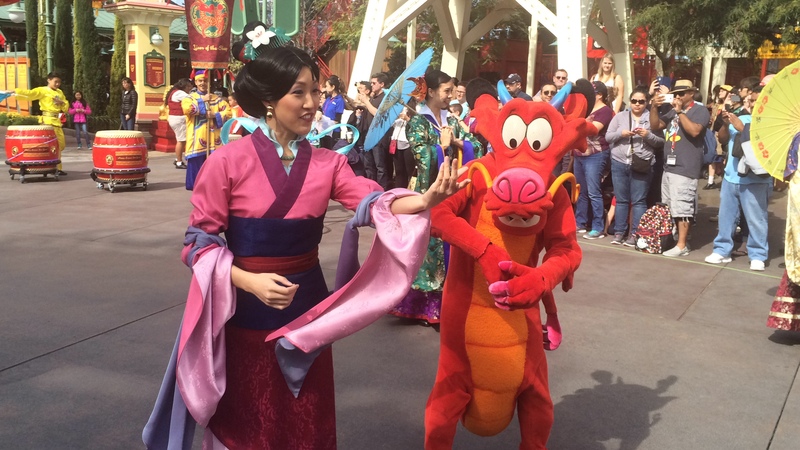 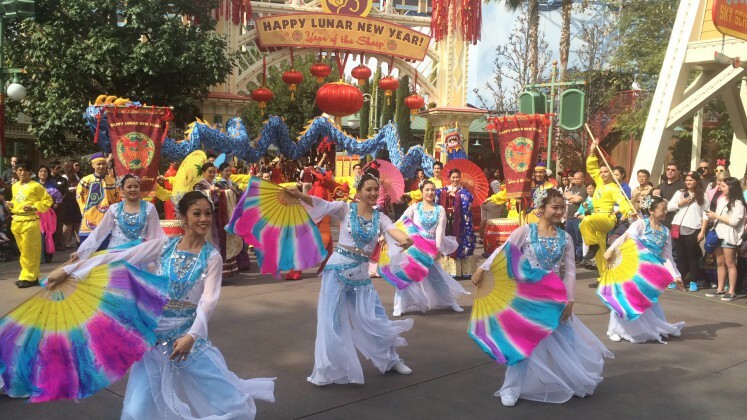 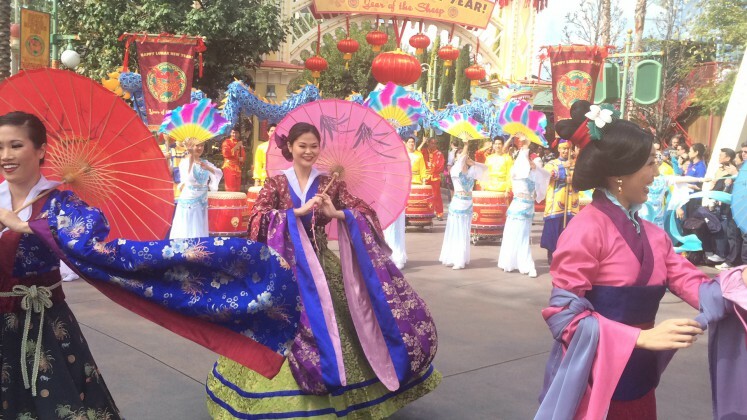 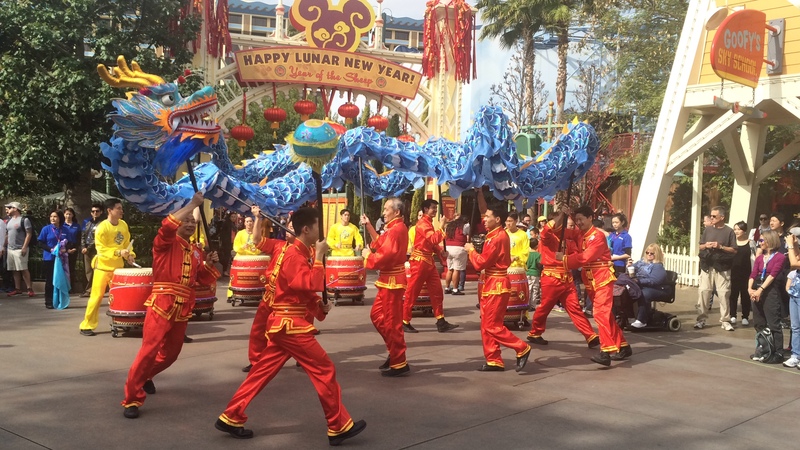 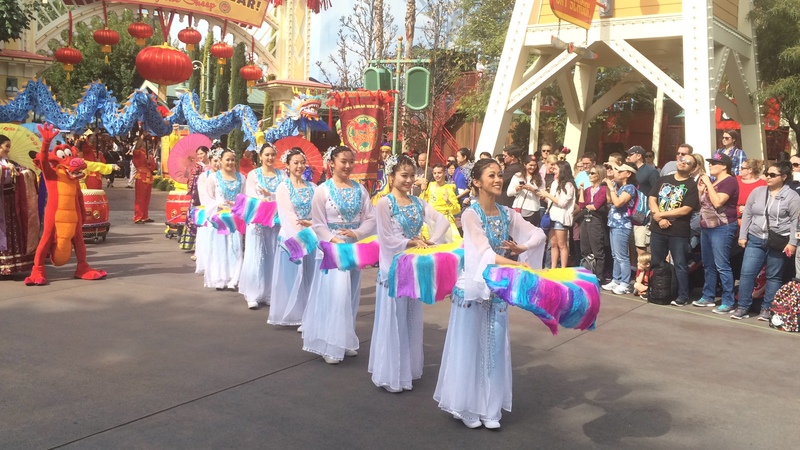 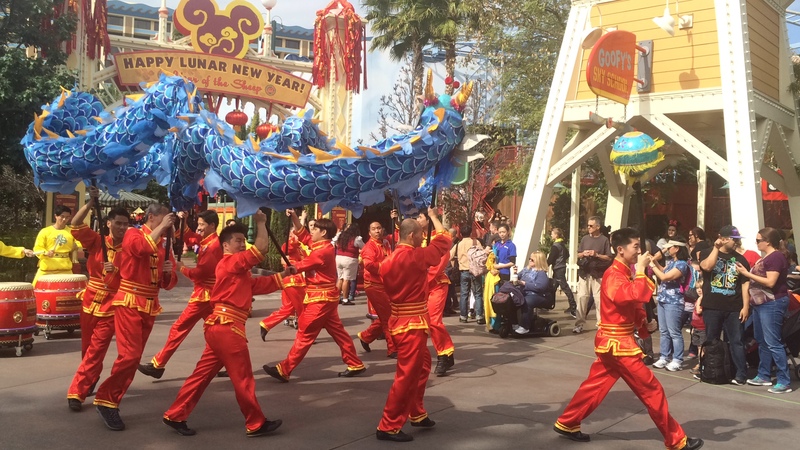 The celebration of various cultures continues at Disney California Adventure, as it once again hosted the annual Happy Lunar New Year celebration. 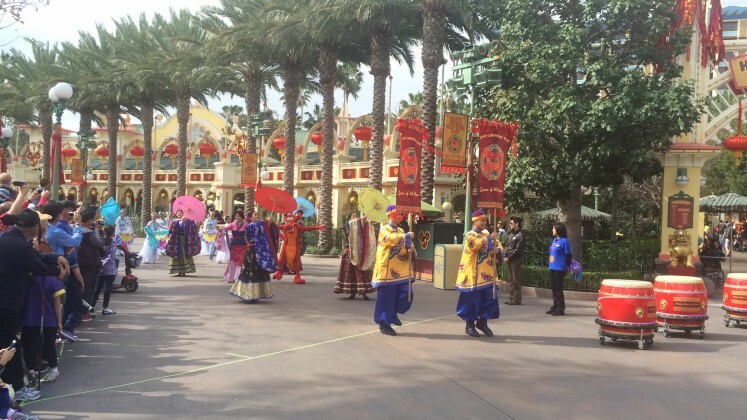 This year, it was a 4-day extravaganza, and all of the festivities were held in the Paradise Gardens area of the Park. 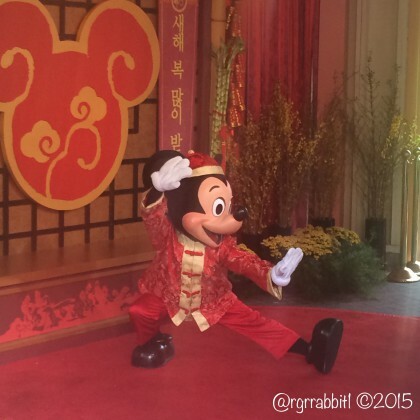 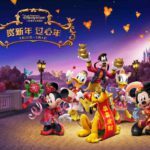 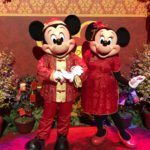 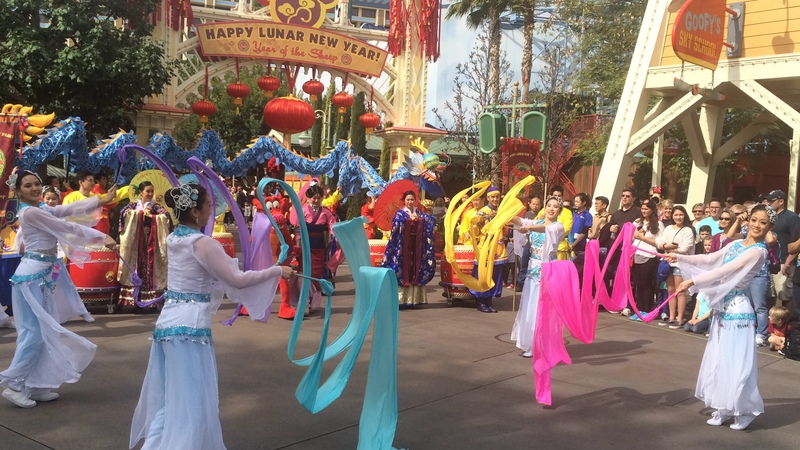 Many activities were available from a character meet and greet to writing your wishes for the Lunar New Year to special calligraphy and live entertainment. 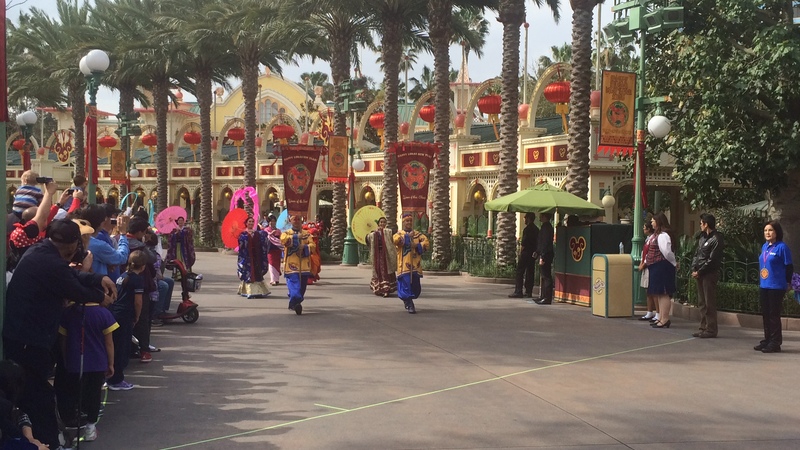 A special procession and show took place near the entrance to the Paradise Gardens area. 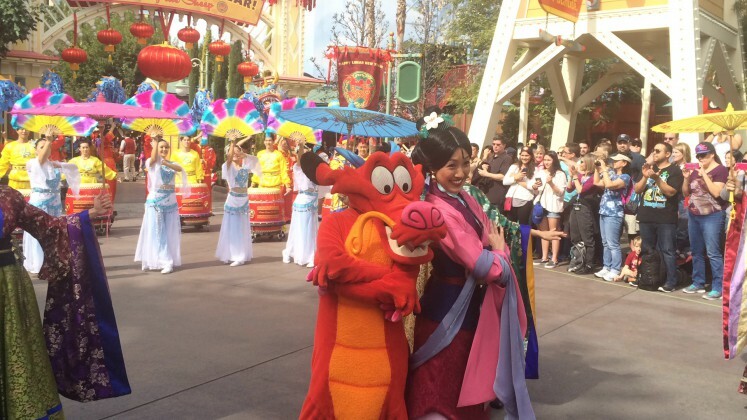 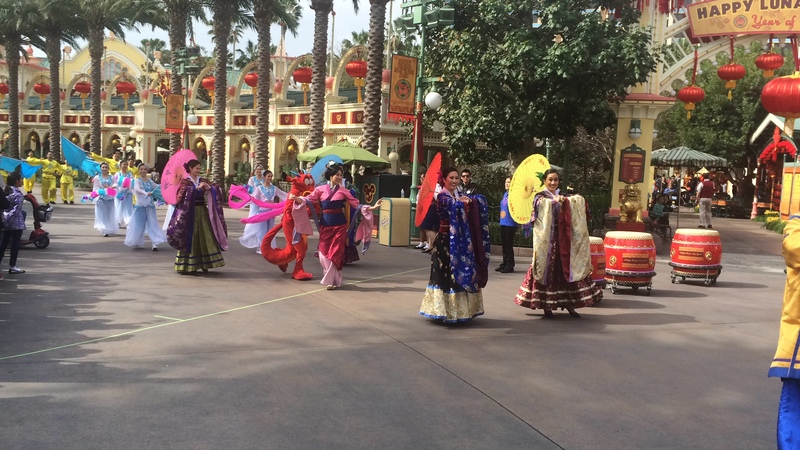 It featured Mulan, Mushu, and various dancers and performers. 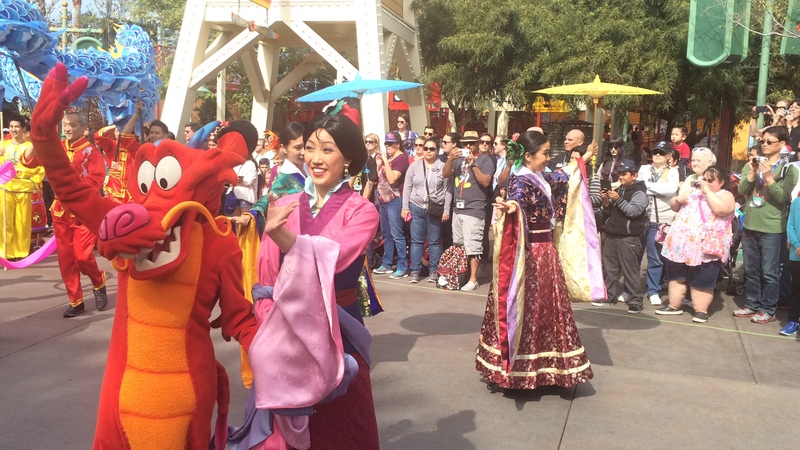 The procession and show used the music from the Mulan Parade, which was performed at Disneyland and the former Disney-MGM Studios (now Disney’s Hollywood Studios.) 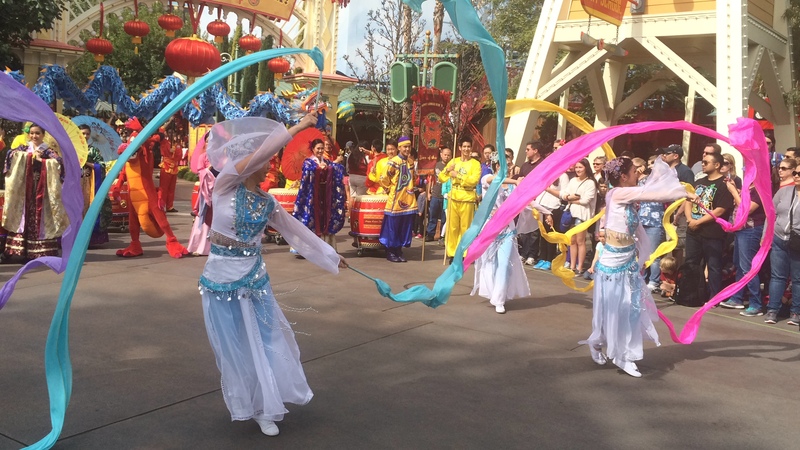 All of the performers and dancers were wearing very vibrant colors, which definitely added to the atmosphere and celebration. 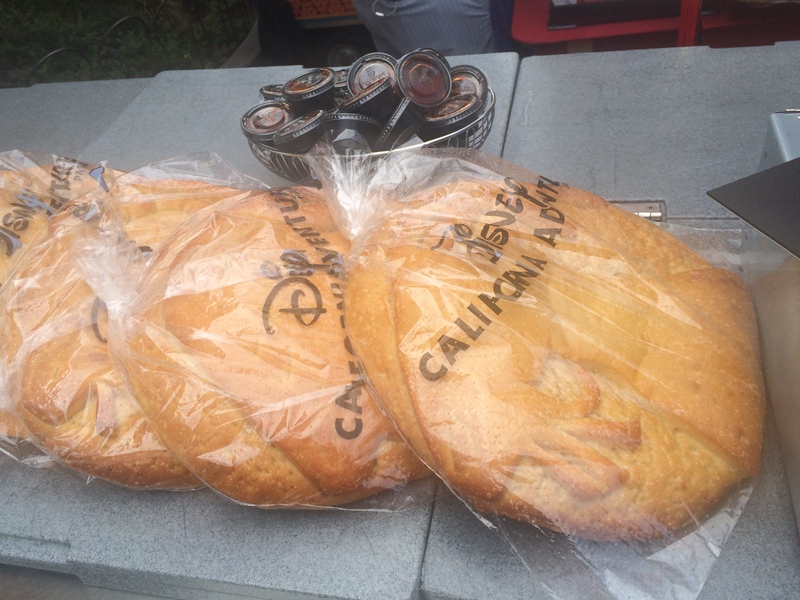 Special themed food ranging from pork bao to Lunar New Year sourdough bread was available for purchase. 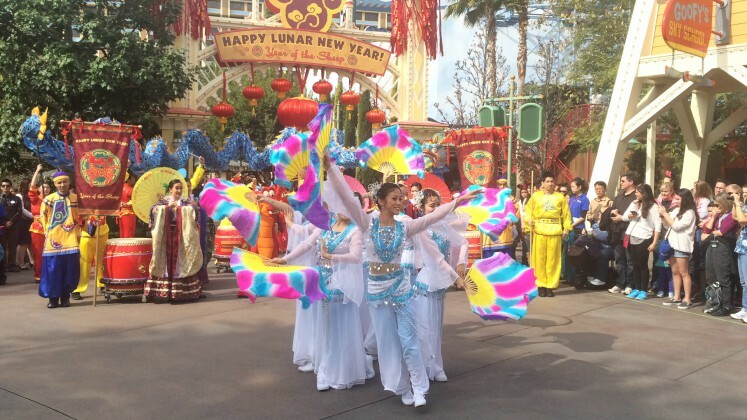 You could also learn how the various cultures celebrate theLunar New Year. And did you know that there are 12 different animal years? 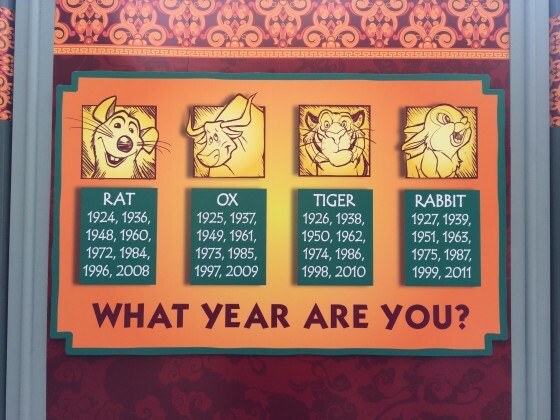 I was born in the Year of the Monkey, which is next year’s Lunar New Year celebration animal. 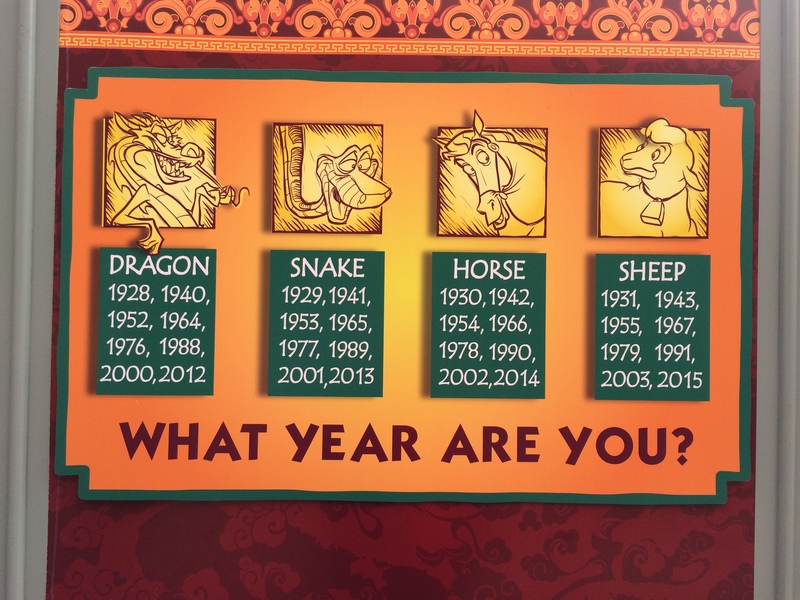 In doing some research for the Year of the Sheep, I found out that Ram and Goat are interchangeable with Sheep. 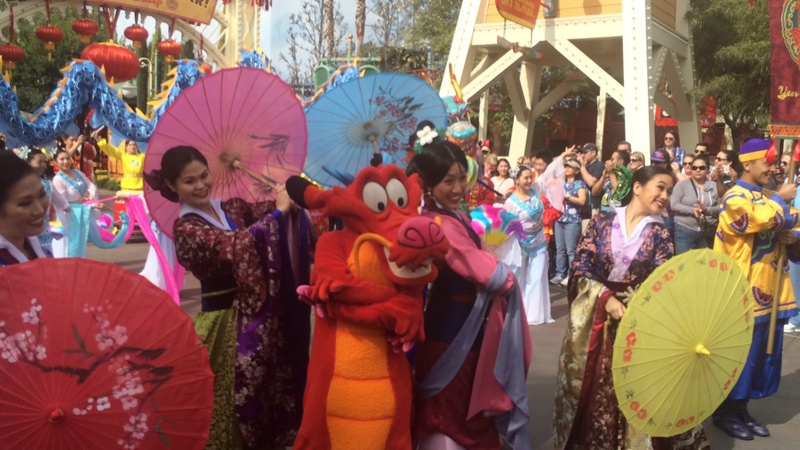 Lucky colors for those born in the Year of the Sheep are brown, red, and purple. 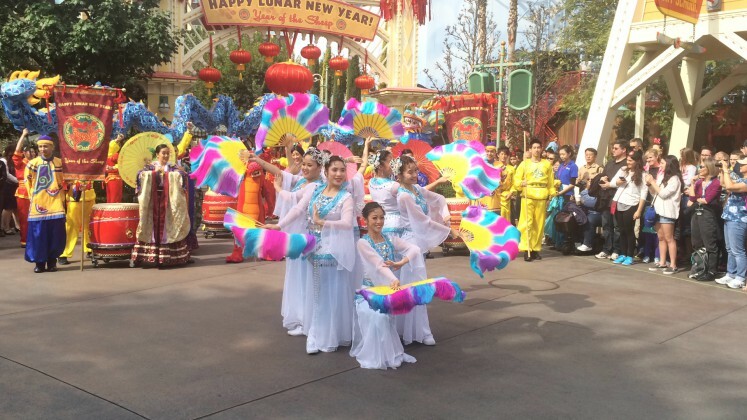 Lucky numbers are 2 and 7. 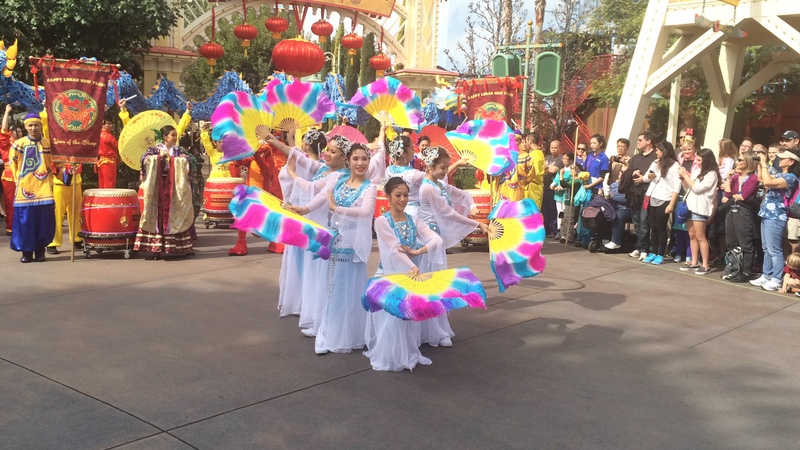 Lucky flowers are carnation and primrose. Those born in the Year of the Sheep are generally calm and gentle. 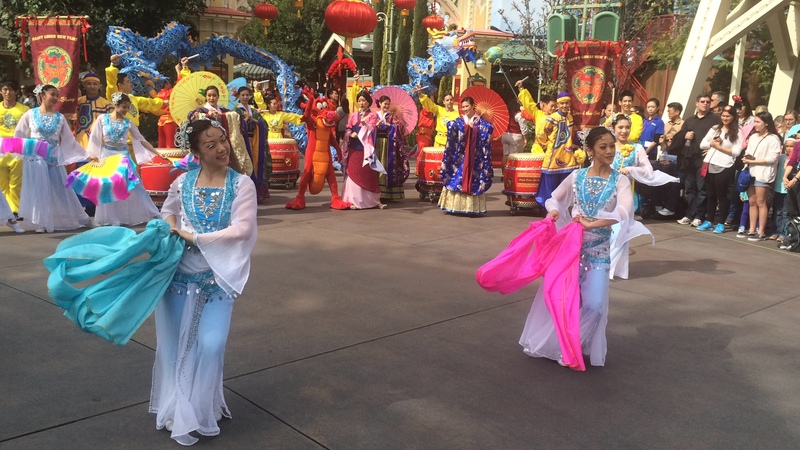 They have delicate thoughts, and prefer to be in groups, but not necessarily want to be the center of attention. 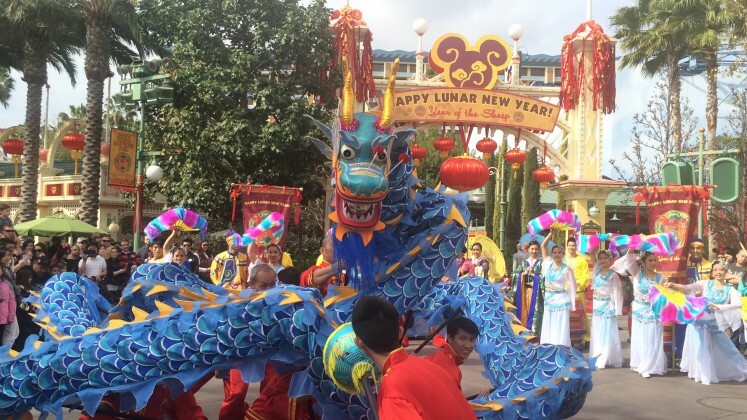 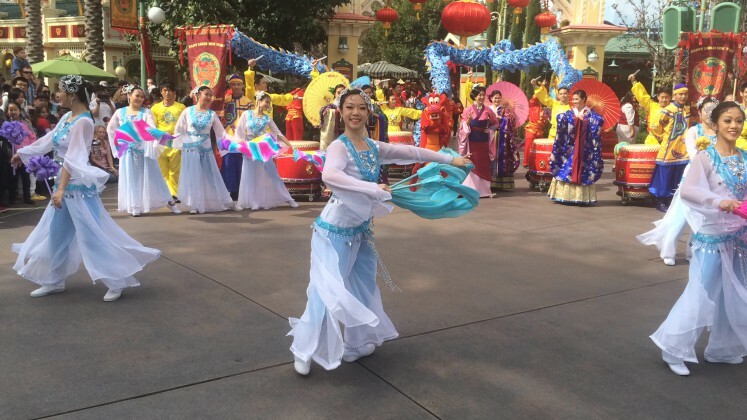 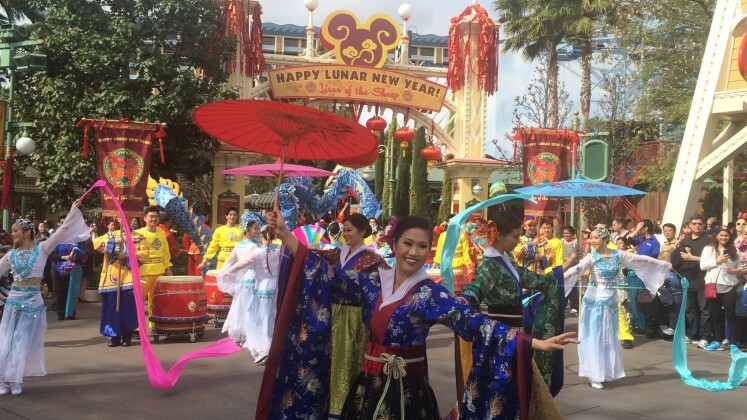 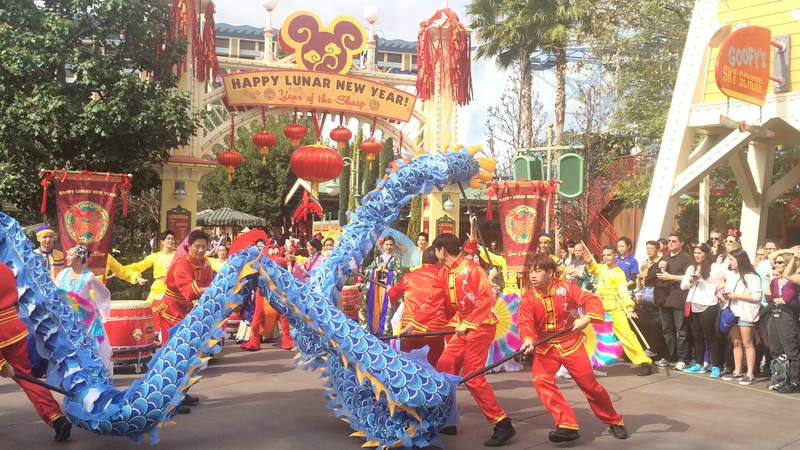 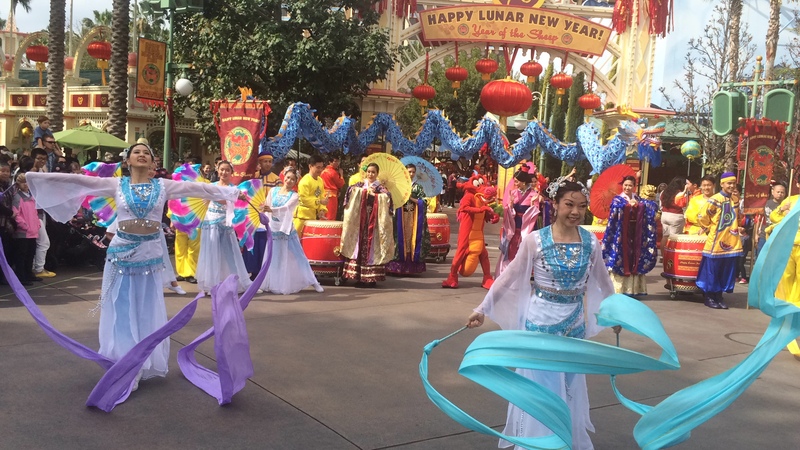 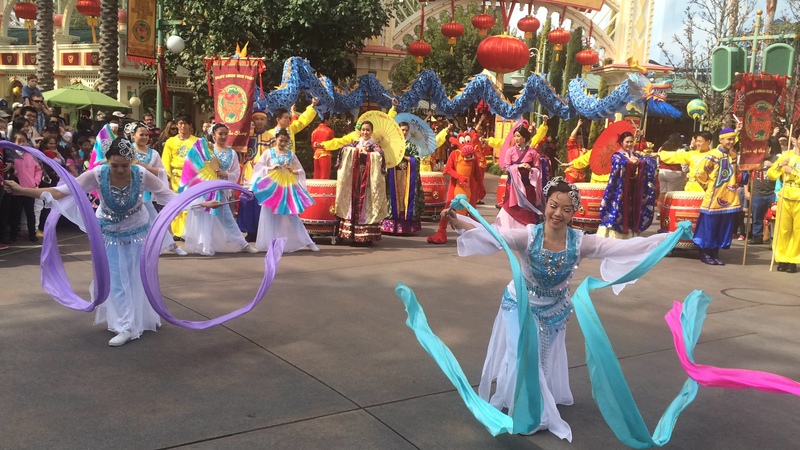 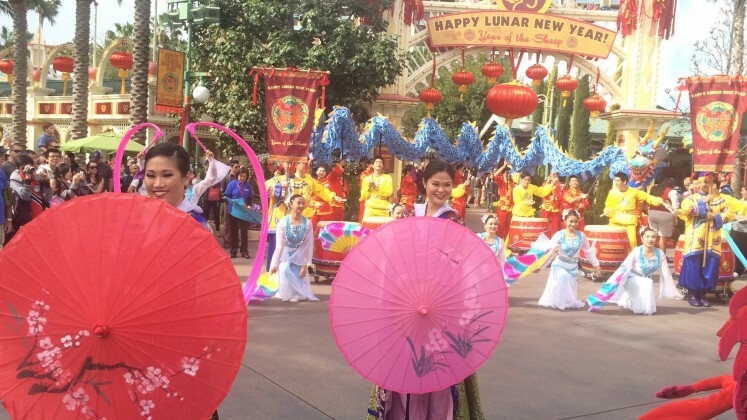 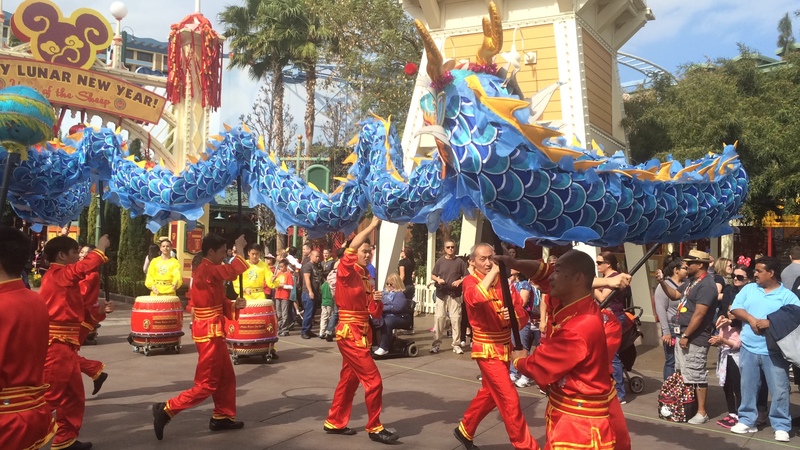 So while the Happy Lunar New Year Celebration has ended, we look forward to its return next year, and look forward to seeing other cultural celebrations at Paradise Gardens in the future.